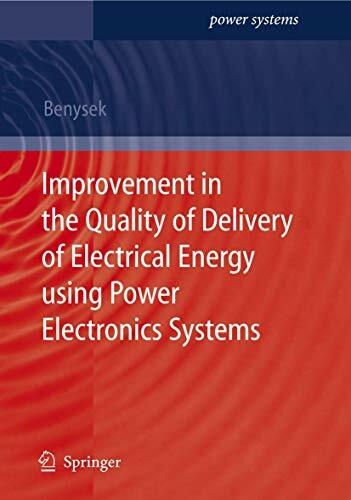 [PDF] Improvement in the Quality of Delivery of Electrical Energy using Power Electronics Systems (Power Systems) | Free eBooks Download - EBOOKEE! Description: This book provides a detailed review of power electronics systems, covering both Flexible AC Transmissions Systems (FACTS) and Custom Power Systems (CUPS). This is a valuable resource for researchers and advanced postgraduate students in the fields of power quality improvement and distributed electrical power systems. It will also be of interest to professionals working in industries such as telecommunication. 2017-12-25[PDF] Electric Water: The Emerging Revolution in Water and Energy. No comments for "[PDF] Improvement in the Quality of Delivery of Electrical Energy using Power Electronics Systems (Power Systems)".